WordPress design. Recruitment and search website design with job board, job search and blog. 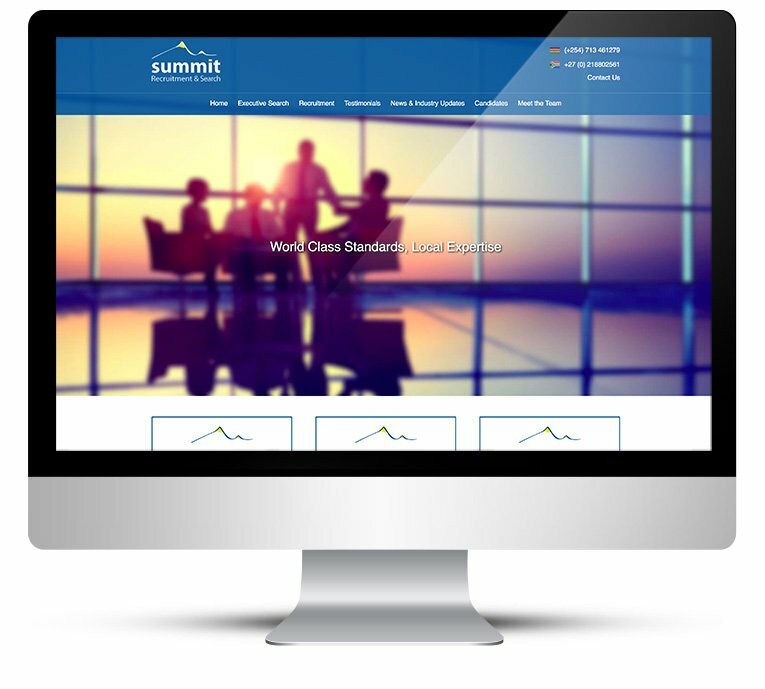 Summit Recruitment and Search delivers world-class talent sourcing, executive search and recruitment services to organisations wishing to attract and retain outstanding individuals, across East Africa, South Africa and English-speaking Africa. 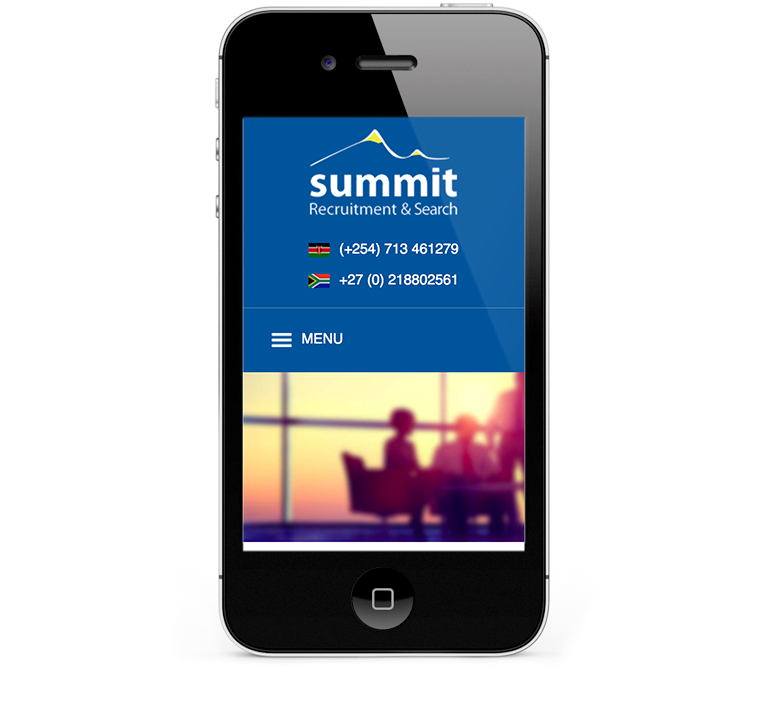 Summit has grown internationally and so has the calibre of jobs coming into the agency. Summit need to be more global and reach out to a higher level of client. 50% of international business is through the website. 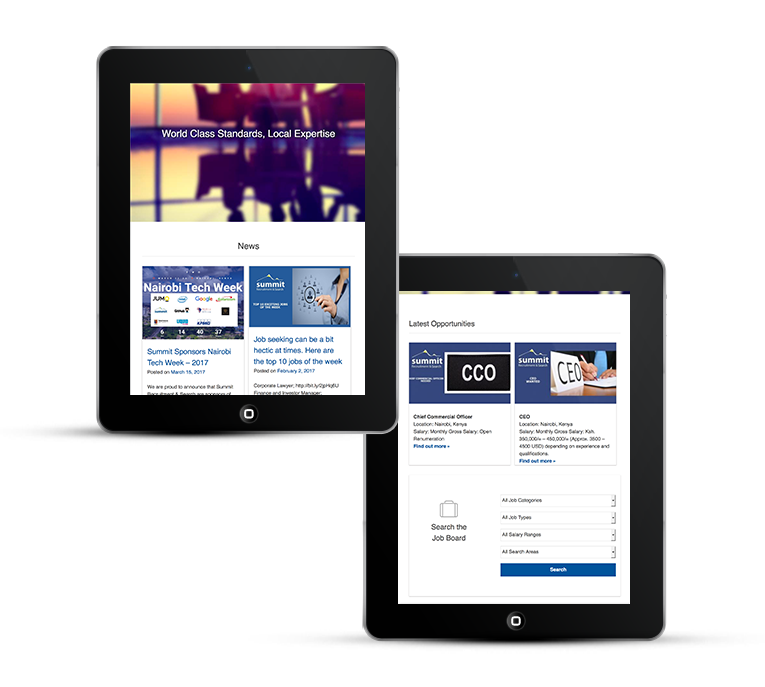 The brief was to bring the web design to date with more inspirational imagery and make it mobile friendly; creating a website that was both contemporary and business like with current news items and testimonials. The most important aspect of the website is to display up to date job listings and to give candidates the ability to apply online. 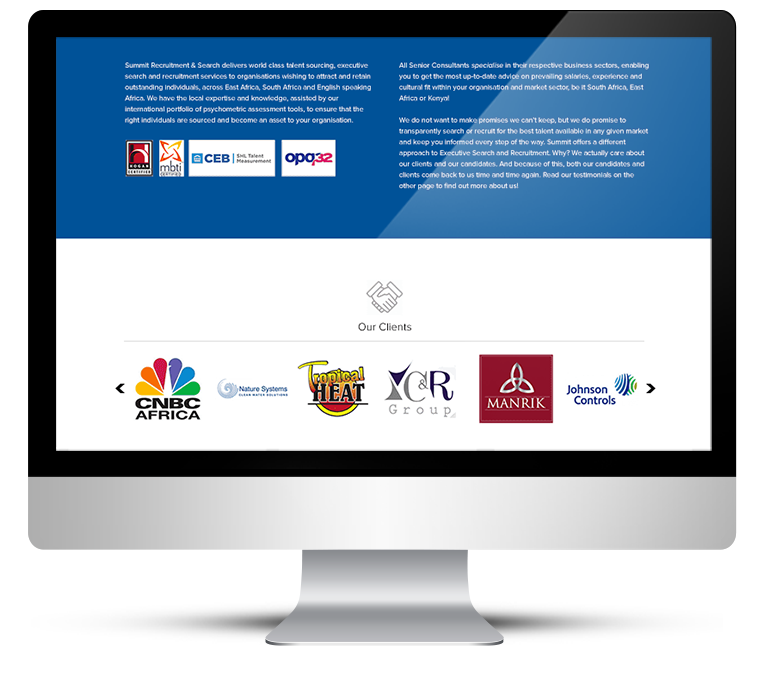 The client adds around a dozen new positions to the listing every week. This is a new custom WordPress theme design and includes a job board and job search, blog, testimonials, team page and blog. The site is fully mobile responsive and Google friendly. All of the theme colours used in the site came from the existing branding, I chose the contemporary Proxima Nova for all text. News feeds and latest jobs keep the home page regularly updated and fresh. 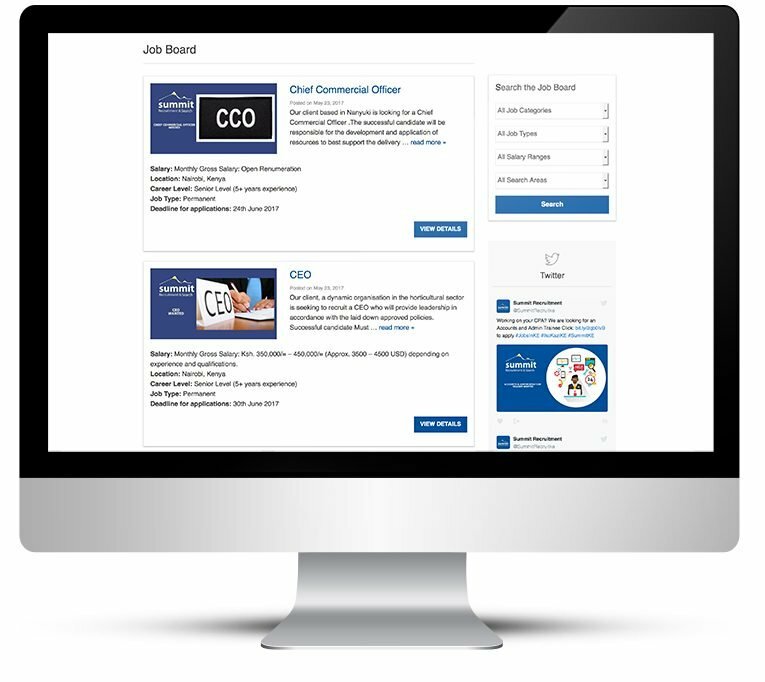 The job board is clear and easily sorted into categories and candidates can apply online. Comprehensive information about each job gives the visitor everything he needs and ensures that Google has plenty to index. 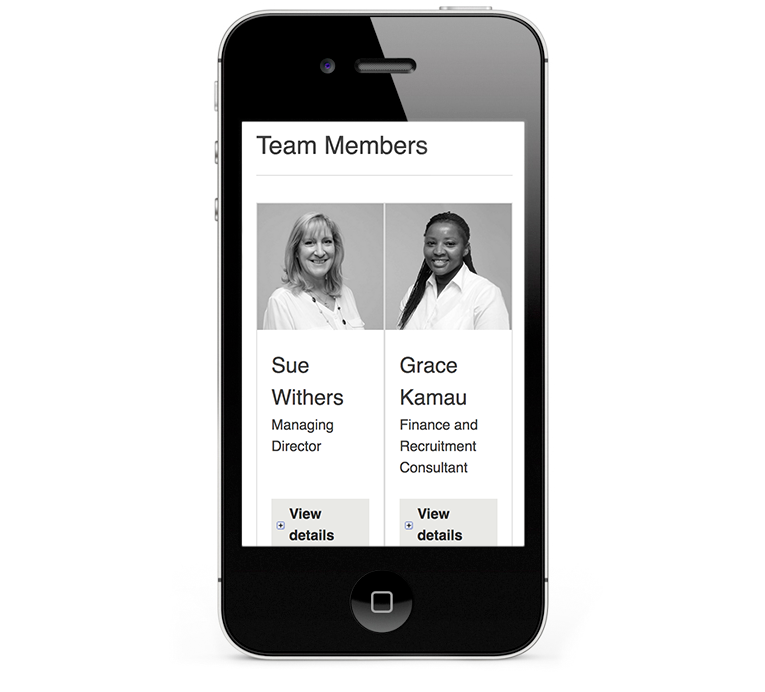 Recruitment and search Website design adapting to all screen sizes. This is a fully content managed WordPress website. Job board, easy upload for job listings. 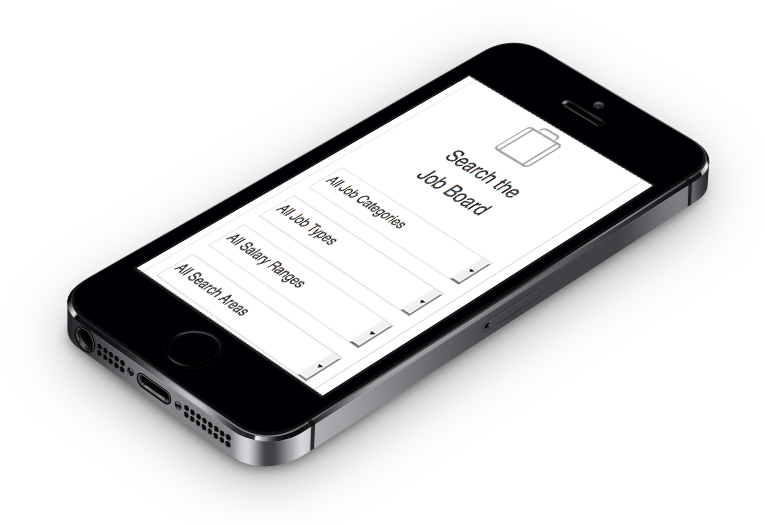 Job listings are searchable via job category. The site includes social media links and a Twitter Feed. 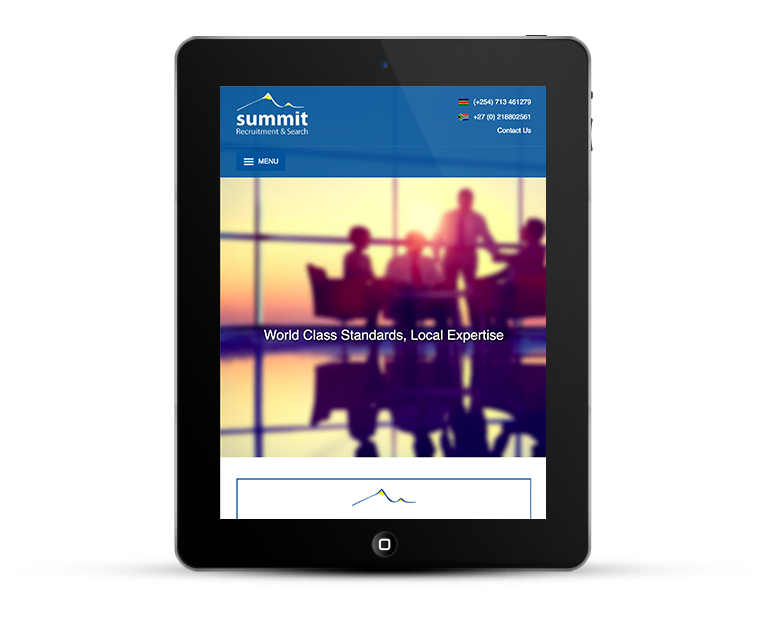 Summit Recruitment & Training have just re-launched the website – thanks to the hard work and experience of Tracey. She has managed to steer us through the whole process made very positive suggestions for the site ensuring that we maximise on business. It has been a pleasure to work with Tracey and we are very pleased with the result.